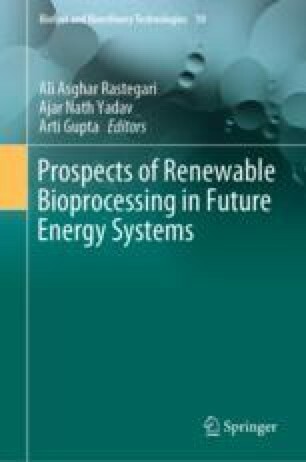 In this chapter, the biological treatment process of wastewater and biomass, called anaerobic digestion, is discussed. It is a potential bioprocess to produce renewable energy as methane and hydrogen from underestimated and unexploited sources of organic matter. More specifically, this chapter will discuss the types of biodigesters utilized, the operation modes and the main parameters that affect the process, aiming to provide the knowledge to achieve process stability and reproducibility. The operation strategies, such as substrates co-digestion and two-stage process, and biomass pretreatment will be as well discussed in detail. This chapter will focus on some Brazilian agro-industrial effluents (vinasse and manipueira), as well as food wastes, lignocellulosic biomass, and micro/macroalgae for biogas production. To conclude, the overall objective of the chapter is to give general information and possibilities to apply and conduct the anaerobic digestion process. C. E. De Farias Silva would like to thank the CNPq (Brazilian National Council for Scientific and Technological Development) for the Postdoctoral Fellowship and financial support. Project numbers: 167490/2017-6 and 407274/2018-9. C. M. Carvalho also thank the fellowship granted by PNPD/PPGQB/CAPES (Selection 2017.2). The institutional and financial support of CNPq, CAPES, FINEP, UFAL and FAPEAL were of great importance to the research development discussed in this chapter.